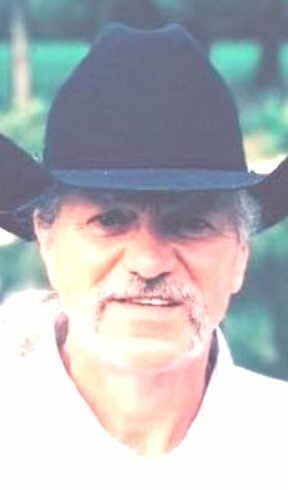 Obituary for Jack D. Scroggins | McCombs Funeral Home Inc.
Jack D. Scroggins, Jr., 57, of Jackson, formerly of Joliet, Illinois, passed away Saturday, January 26, 2019, at his home in Jackson. He was born April 3, 1961, in Joliet, to Jack D. and Lucy Stepp Scroggins, Sr. He and Debra “Debi” Feeney were married July 8, 1981, in Joliet, Illinois. Five children were born to their union. They lived several years in Joliet, moving to Jackson in 2000. Jack was a 1979 graduate of Joliet Central High School. He was a welder and mechanic by trade, working 19 years at IVEX Corp. in Joliet; BioKyowa in Cape Girardeau; and 13 years at Rubbermaid in Jackson. Jack was accomplished in math and enjoyed fabricating and woodworking. He loved animals and had rescued several cats and dogs. Other hobbies were barbecuing, karaoki, fishing, camping, and men’s slow-pitch softball in earlier years. He most recently attended Jackson Church of Christ. He is affectionately remembered as a loving and caring husband, father, grandfather, son, and brother. Loving survivors include his wife of 37 years, Debi of Jackson; four children: Jack D. (Jamie) Scroggins III and children Jared and Justin of Jackson; Rachel (Jeff) Schultz and children Autumn and Baylie of Morris, Illinois; David (Roma) Scroggins, Sr. and children Ridge, David Jr., and Tytus of Jackson; Jake Scroggins (Alyssa Chamness) of Jackson and children Jayden and Kahner of Jackson; his mother, Lucy (John) Owen of Joliet; and two siblings, Lorene (Leonard) Havner of Reliance, Tennessee, and John (Michelle) Owen of Wilmington, Illinois. He was preceded in death by an infant son, Jacob Scroggins; and his father, Jack D. Scroggins, Sr.; and a brother, Donald Davenport. Memorials may take the form of contributions to the Humane Society of Southeast Missouri. Services are private, with cremation accorded by McCombs Funeral Home and Cremation Center in Jackson.